30-day access. 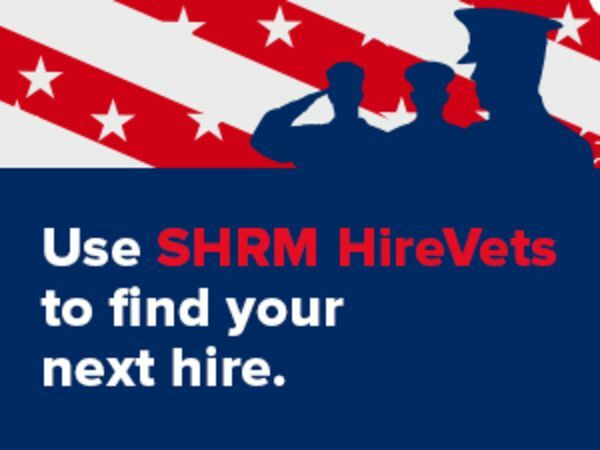 SHRM HireVets provides employers with the tools to find the right veterans for your job openings. Search through our nationwide database of over 200,000 veterans. Certain additional services are offered on the site for a fee, including individual job postings, Subscriptions and CS Licenses, ("Purchased Service"). If youselect to promote a certain job on the site on a monthly basis ("Promoted Job"), you shall pay the monthly fee for every calendar month or portion thereof that the Promoted Job is viewable on the site. In the event you wish to remove the Promoted Job from the site and not be subject to the monthly fee, you must either (1) remove or disable the Promoted Job through your employer dashboard, or (2) provide notice in writing to us directing the Promoted Job be removed or disabled. Future monthly payments for the Promoted Job will cease starting with the first calendar month after the month in which the Promoted Job is no longer promoted on page. We offer our users the option of entering into a subscription with us whereby all of a user's job postings will be treated as Promoted Jobs on our site ("Subscription") for a period of twelve months ("Subscription Term"). You agree that you will pay for such Subscription on a monthly basis for the duration of the Subscription Term. Upon completion of the Subscription Term, this agreement shall renew for a subsequent twelve month Subscription Term, unless notice is otherwise provided to us in writing no less than ninety (90) days prior to the anniversary of the Effective Date. We offer our users the option of purchasing licenses to search our database of ("CS License") for a period of twelve months ("CS License Term"). You agree that you will pay for such CS License on a monthly basis for the duration of the CS License Term. Upon completion of the CS License Term, this agreement shall renew for a subsequent twelve month CS License Term, unless notice is otherwise provided to us in writing no less than ninety (90) days prior to the anniversary of the Effective Date. We may also provide certain Purchased Services via our third party partners ("White Label Licensees") and you agree that your use of such White Label Licensees is subject to the contractual (including payment) terms presented by such third party. You further agree that we have no responsibility for the White Label Licensees and your use of such services is entirely at your own risk. We grant you a limited, revocable, non-exclusive, non-transferable license to access and make personal, non-commercial use of the Site or Content and not to download (other than as may be otherwise expressly allowed by us or permitted by law) or modify all or any portion of the Site or Content. This license does not allow any resale or commercial use of the Site or Content except as expressly allowed under written license agreement with employers for the purpose for which the Site is operated ("Employer Authorized Use"); any collection or use of any Content or any derivative use of the Site or Content; any downloading or copying of personal information except for Employer Authorized Use; or any use of data mining, robots, or similar data gathering and extraction tools. The Site and/or any portion of the Site may not be reproduced, duplicated, copied, sold, resold, visited or otherwise exploited for any commercial purpose without our express written consent. Any unauthorized use automatically terminates the permissions and/or licenses granted by us to you, and we reserve all rights to pursue civil and criminal remedies towards you beyond such action as we deem appropriate to compensate us for your unauthorized use. Activities related to monitoring or collecting or using the Site's content for a competitive purpose. User submitted content ("User Submissions") remains the intellectual property of the individual user. By posting your content on the Site, you expressly grant us a non-exclusive, perpetual, irrevocable, royalty-free, fully paid-up worldwide, fully sub-licensable right to use, reproduce, modify, adapt, publish, translate, create derivative works from, distribute, transmit, perform and display such content and your name, voice, and/or likeness as contained in your User Submission, in whole or in part, and in any form throughout the world in any media or technology, whether now known or hereafter discovered, including all promotion, advertising, marketing, merchandising, publicity and any other ancillary uses thereof, and including the unfettered right to sublicense such rights, in perpetuity throughout the universe. We may refuse or remove User Submissions for any reason and without notice. All User Submissions are deemed non-confidential and we shall be under no obligation to maintain the confidentiality of any information, in whatever form, contained in any User Submission. If you decide to register with the Site, you may receive or establish a user name, password and account. By providing your e-mail address, you agree to allow us to send you e-mail messages. In consideration of use of your registration, you will: (a) provide true, accurate, current and complete information about yourself as prompted by the applicable registration form (such information being the "Registration Data") and (b) maintain and promptly update the Registration Data to keep it true, accurate, current and complete. If you provide any information that is untrue, inaccurate, not current or incomplete or we have reasonable grounds to suspect that such information is untrue, inaccurate, not current or incomplete, we have the right to suspend or terminate your account and refuse any and all current or future use of the Site (or any portion thereof). You are entirely responsible for the security and confidentiality of your password and account. Furthermore, you are entirely responsible for any and all activities that occur under your account. You agree to immediately notify us of any unauthorized use of your account or any other breach of security of which you become aware. You are responsible for taking precautions and providing security measures best suited for your situation and the intended use of the registration and Site. We have the right to provide user account, content or use records, and related information under certain circumstances (such as in response to legal responsibility, lawful process, orders, subpoenas, or warrants, or to protect our rights, customers or business). Your use and browsing of the Site are at your own risk. EXCEPT AS OTHERWISE PROVIDED ABOVE, EVERYTHING ON THE SITE, INCLUDING WITHOUT LIMITATION ANY SOFTWARE, TOOLS OR SERVICES OFFERED, IS PROVIDED ON AN "AS IS" AND "AS AVAILABLE" BASIS WITHOUT WARRANTY OF ANY KIND, EITHER EXPRESS OR IMPLIED, INCLUDING BUT NOT LIMITED TO THE IMPLIED WARRANTIES OF MERCHANTABILITY, FITNESS FOR A PARTICULAR PURPOSE, OR NONINFRINGEMENT TO THE EXTENT PERMITTED BY LAW. WE MAKE NO WARRANTIES OR REPRESENTATIONS REGARDING THE INFORMATION, SOFTWARE, TOOLS OR SERVICES CONTAINED ON THE SITE AND SPECIFICALLY DISCLAIMS ANY WARRANTY AS TO THE SUITABILITY, RELIABILITY, QUALITY, AVAILABILITY, TIMELINESS OR ACCURACY OF SUCH CONTENT FOR ANY PURPOSE. WE DO NOT WARRANT THAT THE SITE, SITE FUNCTIONS OR SERVER WILL BE UNINTERRUPTED OR ERROR-FREE, THAT DEFECTS WILL BE CORRECTED, OR THAT THE SITE OR SERVER THAT MAKES SUCH CONTENT AVAILABLE IS FREE OF VIRUSES OR OTHER HARMFUL COMPONENTS. WE DO NOT WARRANT OR MAKE ANY REPRESENTATIONS REGARDING THE USE OR THE RESULTS OF THE USE OF THE CONTENT IN TERMS OF ITS CORRECTNESS, ACCURACY, RELIABILITY, OR OTHERWISE, OR THAT THE SITE, ANY SERVICES OR ITEMS OBTAINED THROUGH THE SITE WILL OTHERWISE MEET YOUR NEEDS OR EXPECTATIONS. YOU (AND NOT US) ASSUME THE ENTIRE COST OF ALL NECESSARY SERVICING, REPAIR, OR CORRECTION. APPLICABLE LAW MAY NOT ALLOW THE EXCLUSION OF IMPLIED WARRANTIES, SO THE ABOVE EXCLUSION MAY NOT APPLY TO YOU. (a) Any technological, operational, or informational advancements to Website and services that are created or discovered by us through the use and implementation of Employer training modules, products, and other services provided by us or our assignees, subcontractors, counterparts or Affiliates and any expression or result of our services, or the work, findings, analyses, conclusions, opinions, recommendations, ideas, techniques, know-how, designs, programs, tools, applications, interfaces, enhancements, software, and other technical information (collectively "Work Product") created by us in the course of performing the Services hereunder are the property of us and are licensed to you at our discretion. You shall have no right to sublicense, transfer, assign, convey or permit any third party to use or copy any Work Product. (b) You may, from time to time, provide suggestions, comments, or other feedback (whether in oral or written form) to us in connection with the Services or the development, testing, marketing or other activities contemplated by this Agreement ("Feedback"). Any Feedback will be given entirely voluntarily. We will be free to use, copy, modify, license, sell, distribute and otherwise exploit the Feedback provided to it under this Agreement in any way it sees fit, entirely without any payment or obligations or restrictions of any kind. Feedback, even if designated as confidential by you, will not be subject to the confidentiality obligations referenced in this Agreement unless the parties expressly agree otherwise in a separate signed writing. (b) Promptly after receipt by any Indemnitee of notice of the commencement of any civil, criminal, administrative or investigative action or proceeding involving a claim for which the Indemnitee will seek defense, indemnification or to be held harmless, the Indemnitee shall notify you of such claim in writing. The failure to so notify shall not relieve you of your defense, indemnification and hold harmless obligations unless you can show that it was materially prejudiced by such delay and then only to the extent of such prejudice. You shall have (i) sole control over the defense and disposition of such claim or threatened claim and (ii) the Indemnitee shall, at your reasonable request and at your sole cost and expense, provide reasonable cooperation and assistance to you in the defense and disposition of any such claim or threatened claim; provided, however, that you shall not settle any such claim or threatened claim in a manner that would require the Indemnitee to perform or not perform any action, without the Indemnitee's prior written consent, or contains a stipulation to or admission or acknowledgment of, any liability or wrongdoing (whether in contract, tort or otherwise) on the part of Indemnitee, or otherwise adversely affects the Indemnitee's rights or interest without the Indemnitee's prior written consent, which consent shall not be unreasonably withheld, delayed or conditioned; and provided, further, however, that the Indemnitee may at all times, with counsel of its choice and at it expense, monitor and participate in such defense and all related settlement negotiations. THIS SERVICE OFFERS 30 DAYS OF ACCESS TO A NATIONWIDE DATABASE OF MORE THAN 200,000 VETERANS. SALES OF THIS PRODUCT ARE FINAL. PLEASE CONTACT CUSTOMER CARE WITH QUESTIONS. 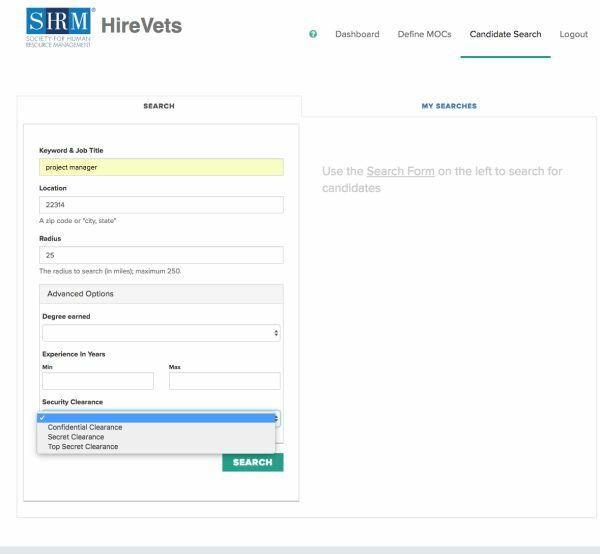 SHRM HireVets provides employers with the tools to find the right veterans for your job openings. Search through our nationwide database of over 200,000 veterans that grows by the thousands every month. Upload your job openings and get immediate results on the top qualified candidates. Translate the military lingo of veteran service jobs into terminology you can understand. 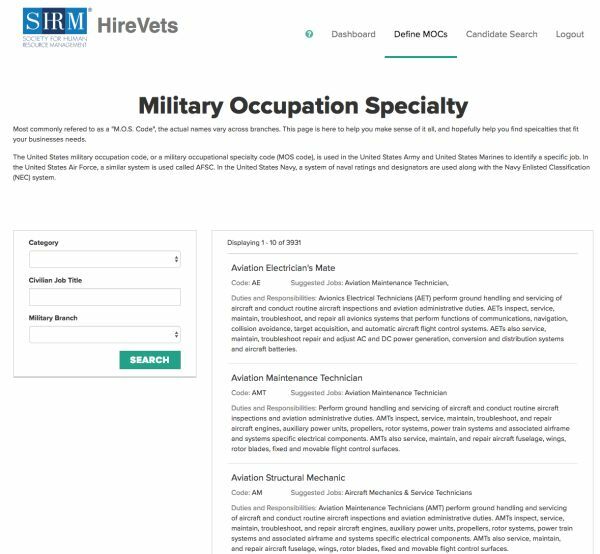 Input skill requirements for your job openings and see which military branch and job match what you’re looking for. What are the backgrounds and locations of the veterans in this database? Veterans within our database come from all different backgrounds nationwide. Do veterans register themselves as well as others looking for employment? Veterans and their spouses register on our partner’s site. These veterans register to find employment, build their resume, improve their skills, and/or connect with mentors. Is there a specific field of expertise/industry that this database targets (ie: computer engineers vs. hospitality)? Or regions of the US? How do I know if there are veterans available to my business location? 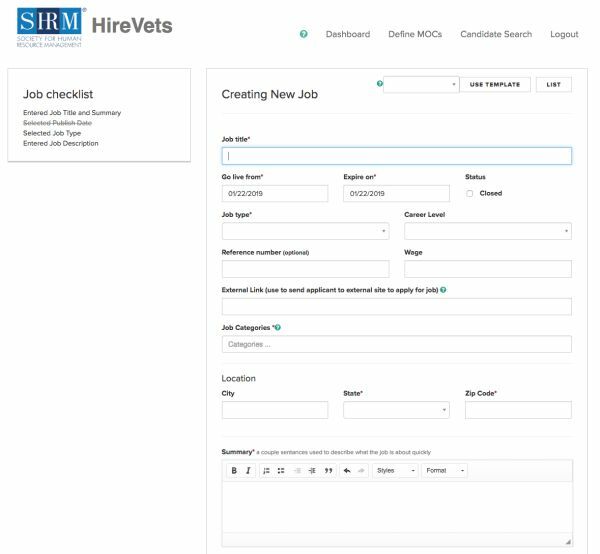 You can search our database based off of your zipcode to determine if there are veterans in your area currently looking for employment. How does the database remain current? When a veteran has not logged into our site within 90 days, their profile is automatically hidden from any candidate searches or matches. How can veterans be contacted? Is all their contact information provided on their resumes? 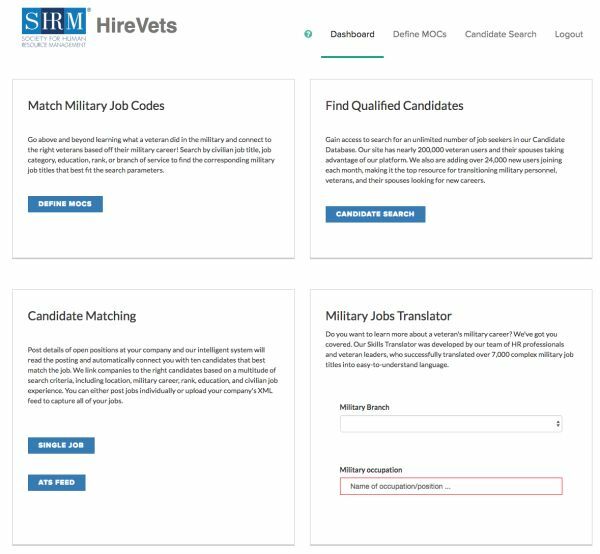 Veterans provide their contact information in their respective resumes. Are veterans removed from the database once they are no longer seeking employment? Veterans are not completely removed from the system, however they are hidden from any results after 90 days of inactivity.